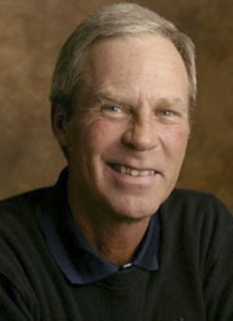 Pro golfer, Ben Crenshaw, was born on January 11, 1952 in Austin, Texas. 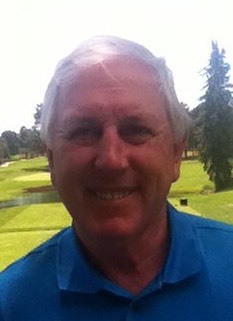 He attended and played golf at Austin High School and the University of Texas before turning professional in 1973. In 1973, Crenshaw became the second player in Tour history to win the first event of his career; this accomplishment was achieved earlier by Marty Fleckman (1967) and later repeated by Robert Gamez (1990) and Garrett Willis (2001). In 1984 he won The Masters, one of golf's four major championships. 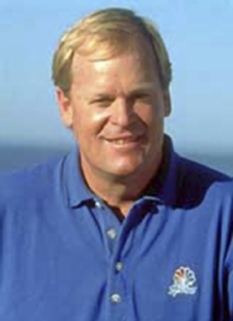 In the mid-1980s he suffered from Graves' disease, a disease of the thyroid, but he continued to accumulate victories, finishing with 19 on the PGA Tour, including a second Masters in 1995. 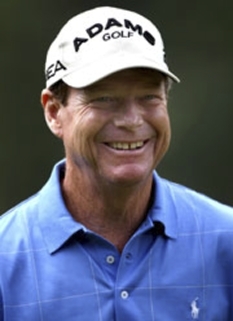 Crenshaw won several further professional events outside the PGA Tour, including individual and team titles in the World Cup of Golf in 1988. 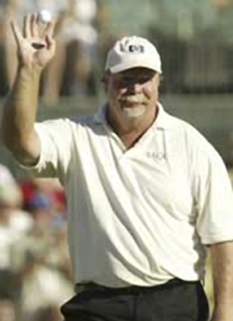 He spent 80 weeks in the top-10 of the Official World Golf Rankings from 1987 to 1989. 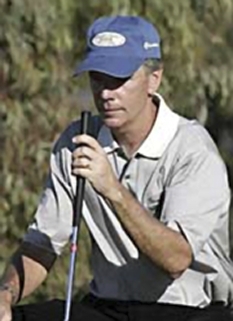 Ben Crenshaw is widely regarded as one of the best putters in golf history. His instructor growing up, Harvey Penick, taught him a smooth, effortless stroke on the greens, which allowed him to master even the speediest of greens — including those at Augusta National Golf Club. In winning the Masters in 1995 (a victory that came a week after Penick's death), "Gentle Ben" did not record a single three-putt during the tournament. DISCLAIMER: PFP Sports Talent Agency does not claim to represent itself as the exclusive agent for Ben Crenshaw. PFP Sports Talent Agency is a booking agency that represents organizations seeking to hire pro athletes and sports personalities such as Ben Crenshaw for speaking engagements, personal appearances, product endorsements and corporate entertainment. Fees on this website are estimates and are intended only as a guideline. Exact fees are determined by a number of factors, including the location of event, the talent’s schedule, requested duties and supply and demand. PFP Sports Talent Agency makes no guarantees to the accuracy of information found on this website and does not warrant that any information or representations contained on this website will be accurate or free from errors. 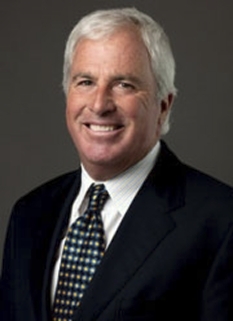 We are often asked how can I find out who is Ben Crenshaw's agent? To find Ben Crenshaw appearance fees and booking agent details, you can contact the agent, representative or manager through PFP Sports Talent Agency for speaking fee costs and availability. PFP Sports Talent Agency can help your company choose the ideal sports personality for your next marketing campaign. To hire Ben Crenshaw for an appearance, speaking event or endorsement, contact Ben Crenshaw's booking agent for more information.